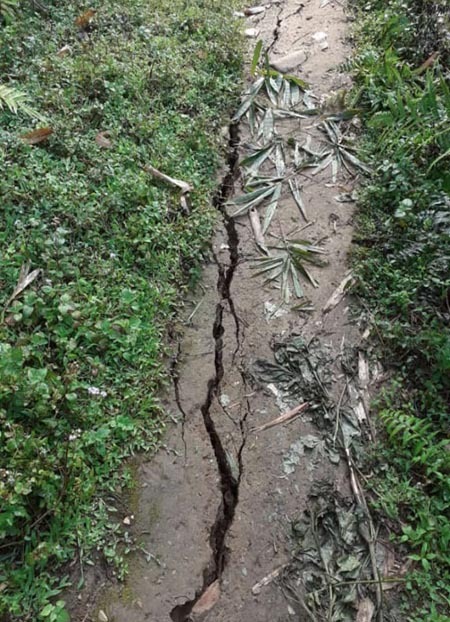 ITANAGAR, Dec 13: Newly-appointed Congress Legislature Party (CLP) leader Takam Pario claimed that the Congress party will come back to power in the state in 2019. Pario, who was appointed as CLP leader on Wednesday, replacing former chief minister and Sagalee MLA Nabam Tuki, was talking to media persons on Thursday after arriving from Delhi. 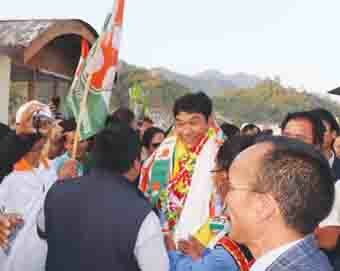 Hundreds of Congress leaders and workers gave a rousing reception to Pario and Arunachal Pradesh Congress Committee (APCC) president Takam Sanjoy at the Naharlagun helipad on their arrival. Pario also said that a petition challenging the merger of the Congress with the PPA is still pending with speaker for a decision. Sanjoy said “the Congress family is strong and the party will make come back in 2019,” adding that the people suffered a lot because of demonetization, GST, price rise, etc. He acknowledged that the Congress would have to do major repairing work at the grassroots to come back in the state, and said work in this regard has already started. He said the party would walk on the footprints of veteran congress leader Nabam Tuki. Sanjoy informed that Tuki was party to the decision to appoint Pario as the new CLP leader. The appointment of Pario as the CLP leader just a few months before the assembly and general election has raised eyebrows in the political circles of the state. Pario, who was elected as Congress MLA in 2014, later shifted loyalty to regional outfit PPA, but rejoined the Congress this year.